When Jurassic World opened its gates in 2015, folks were hoping to spot everyone's favorite Chaotician / eccentric, Dr. Ian Malcolm, walking around somewhere in the park. Those hopes were dashed when Jeff Goldblum's character was merely spotted on the dust jacket of a book his infamous genius character had written. However, don't let that get you down, as Goldblum sounds open to returning to the park 65 million years in the making... at least, that's what we think it sounds like. I'm nothing if not open. I'm like an open-faced sandwich. My door is not always open -- I took the door off. I removed the hinges from the door. I'm too open. I'm like a chicken piccata. What was I about to say? Oh yes, the two [Jurassic Park] movies I did with them were plenty. If I never did anything more, I'd certainly be well satisfied. We're just going to take a moment here and appreciate the delicious word salad that Chef Goldblum has prepared for us here, as this is a statement straight out of the Jeff Goldblum playbook. Having gathered our thoughts, and after re-reading that statement a good half-dozen times, it sounds like Goldblum would have no problem joining the cast of Jurassic World 2, as he is above all else a working actor who understands the legacy his time as Dr. Ian Malcolm has left him. That said, should he not be asked back, the man won't see it as a personal tragedy. 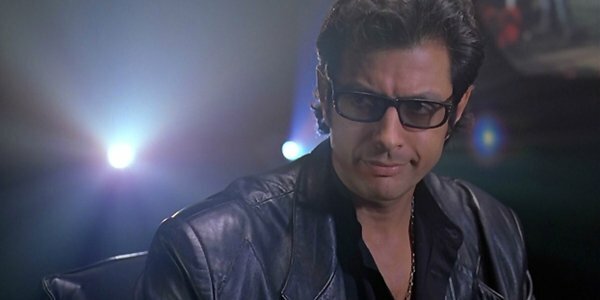 Of course, much like the inspiration for Jurassic World, the wisdom of Dr. Ian Malcolm should be applied to his potential appearance in Jurassic World 2. Just because Malcolm could re-appear for his third Jurassic Park movie, behind the 1993 original and its 1997 sequel, The Lost World: Jurassic Park, does that mean that he should? Well, considering how the proliferation of dinosaurs is supposed to be a theme of the next film, at the very least a cameo showing Jeff Goldblum giving an impassioned speech on how dinosaurs don't belong in the modern world doesn't seem like too big of an ask. If we were to put money on either side of the board, we'd say that Jeff Goldblum isn't going to be offered a role in Jurassic World 2. The spirit of last year's dinosaur fueled blockbuster seemed to be that of honoring the past where appropriate, while moving into the future for the most part. Without too much of a pre-occupation with the franchise's past, there'd need to be a really good reason to even approach the possibility. But should life find a way to bring Ian Malcolm back to the world of the prehistoric, then far be it from us to turn down such a welcome development. 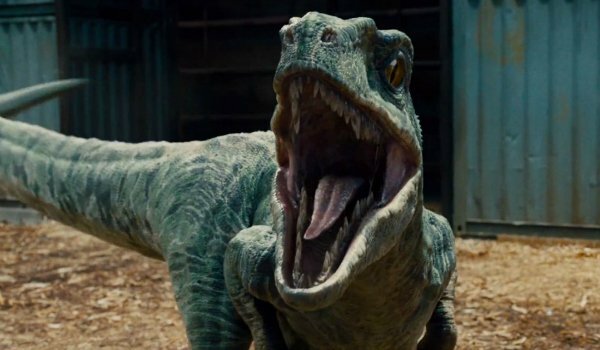 Jurassic World 2 should be stomping into theaters on June 22, 2018. And even though it’s still in the early stages, we actually know A TON about the anticipated sequel. Some of it is spoilery, but I bet you want to know what might happen in Jurassic World 2, right? Once Jurassic World started making all of its money, Universal quickly started making moves on a sequel. - Who from the cast is coming back? - What the sequel likely will be about. - Is it a sequel, or part of a trilogy? - And who is in line to direct Jurassic World 2?